For a Blogger, it’s a real tough ask to pick some time to gain knowledge of designing. Usually bloggers have a preference to hire those designers which are capable of crafting attractive vector art. So when it comes to designing what a new blogger should do? Neither they have enough recourse to hire a professionalized designer nor have correct skills to nail a perfectly designed image. So in this scenario, there is no room for disappointment for newly born blogger. To remove your frustration finally we were able to design a Logo Creator with the help of LogoMaker.com. 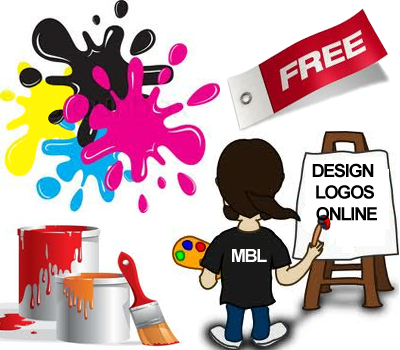 Now with the help of this free online logo creating tool we can easily design logos with ease. This instrument is so straightforward that even a 7 year child can amuse you by designing a logo as superb, as a professionalized designer. This logo designing tool has numberless features which are beyond description but let us look at few of its glimpse. Allow us to choose most outstanding font from its massive database. Allow us to add most appropriate image in your logo. Easy to use fast interface built with flash player. Pick specific category of your logo to get more desirable results. Create logos based on symbols, letters and abstract icons. Allow us to select from enormous database of appropriate vectors. Creating a matchless logo with online logo creator is extremely trouble-free, no needs for designer guidance it’s as simple as drag and drop. As soon as you hit enter you will witness our online tool after the page gets loads, you will be able to see specified logo categories. Now just select any category. Remembers: it should relate your blog niche. Now after selecting your logo category you will be able to see three options, which say “select one of the following”, Letter based logo, Abstract based logo or Symbol based logo. It depends on our interest that what kind of logo we want to create. There is no limitation for logo designing, so we can experiment all three of them. For Letter Based Icons: if we select Letter Based icon, we will be able to see a huge listed of highly professional designed English alphabets for A to Z. 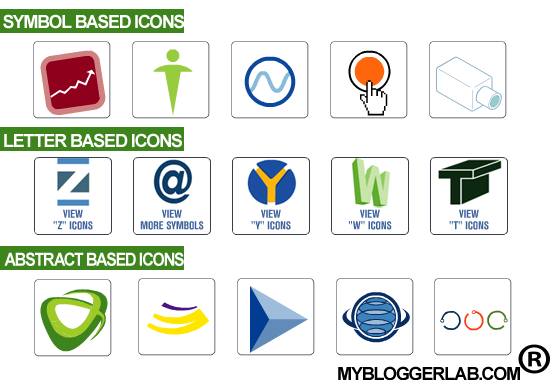 For Symbol Based Icons: If we choose Symbol based icon, we will witness an enormous list of symbols related to our category, which can be used in our logo. For Abstract Based Icons: If we pick Abstract Based icon, we will get access to the list of abstract logos, which can be used smartly to represent our logo. After selecting icon category for our logo, we will be able to see a vast list of images depend on the icon category which we picked. Now you will be able to observe a gigantic logo designer where you can choose fonts, change color, increase & decrease the size of images and fonts, even you can rotate any thing at 360 degree angle. Now just imagine like a designer and craft an eye-catching logo according to your blog’s needs. Once you designed a logo simply press Save button to claim your free logo. After pressing save button, you will be able to see a free registration menu. Simply fill out your details and Sign Up a free account. 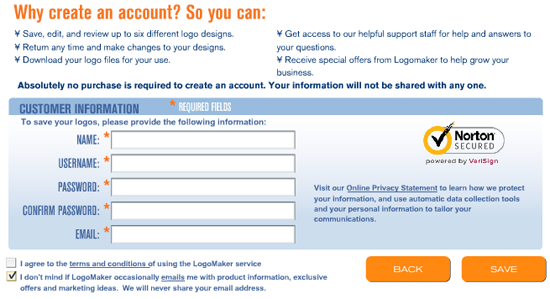 Now when your account is ready for use, simply select the logo which you created previously. After selecting it Press the Free Web Logo Button to claim you free online logo. Now after hitting Free Web Logo Button you will be advance to a new page, where you will observe HTML coding. Simply copy the whole HTML coding and paste it in your website/blog where you want to place your logo. Guy that’s how we can construct a gloomy logo without facing any stress. 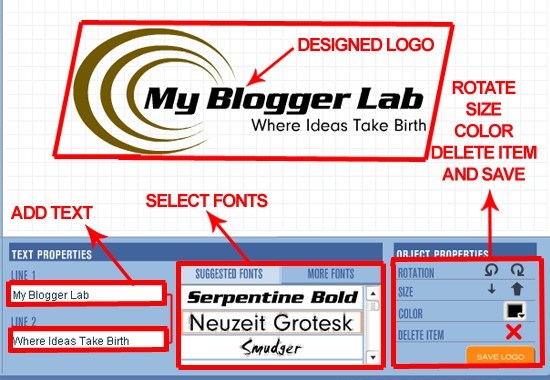 All the credits go to MyBloggerLab.com and Logomaker.com for making such a brilliant logo creator. You can not only utilize it for logo designing, but you can also use it to produce interesting images. If you have any queries feel free to ask till then peace, blessings and happy logo creating. hello bhai...when you click in the video a red colour will appear on the pointer can you tell me how to do this in mine.. Thanks For Considering it Awesome, Peace and Blessing to you too Buddy. Thanks For Liking, An Email has been Dispatched Check your Gmail you will surly get a surprise Peace. Thanks Brother, Yeah you can use this tool any time you want 24/7. Thanks for Liking. Peace and Blessings. Well, Brother Your Advice is Good But The one who don't know about Photoshop Then what he would do. MBL Logo Creator which is obviously powered by LogoMaker.com is Free tool which create logos with great designing without learning anything. I know it may not help you but This tool is Surly Great for New Learners. Any Ways Your Thanks For waiting by, Peace and Blessing Pal. Oh Thanks Your Generosity Dude, Comparing This tool with Photoshop in simplicity has no doubt that This tool is more productive and Simple. Photoshop has its stunning features and as far as Learning Photoshop is concern its really easy, only when you gets proper guidance. Peace and Blessing. It is awesome to see your blog. This is really a nice blog. Now i am also going to use this technique to create a Logo. Thanks for sharing this information. Thanks for the information . I am just going to try it. I really liked your this post.